Movacolor recently launched its improved MCPowder gravimetric unit. The driving of the agitator has been changed to a full gear drive train with improved double seals. We now also offer a double spiral, intermeshing auger for this unit. This new feature allows dosing the most difficult powders at a range from 50 g/h to 25 kg/h. The MCPowder can be used as a stand-alone unit or can be integrated in our multi component systems and MCHybrid. Movacolor has launched a new high output powder dosing unit with a capacity from 10 kg/h to 450 kg/h. The unit is fully gravimetric and designed to function under the most difficult circumstances. 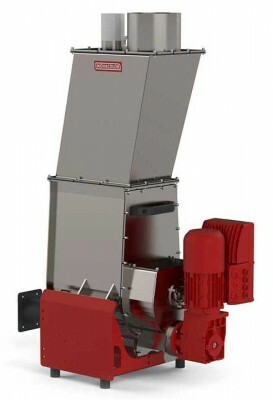 The stainless steel hopper is standard 25 L and can be enlarged to 50 L. The unit can be used to dose a wide variety of powders, such as CaCO2 and chalk, but also many other non-free-flowing powders. 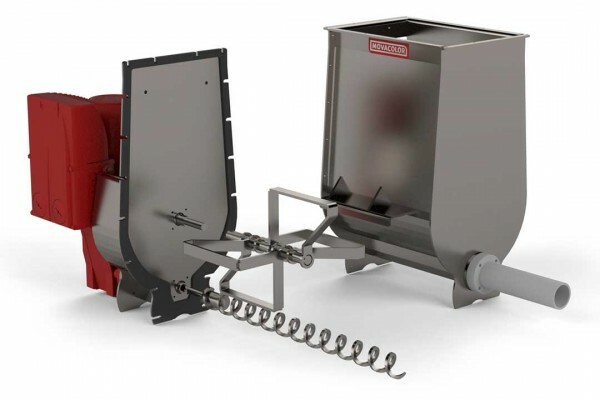 The MCPowder High Output can be integrated into our multi component systemsand can be combined with our special in-line mixer to create perfect dispersion. For more information, click on above images or contact us.